We pride ourselves on having the ability to work with most materials. 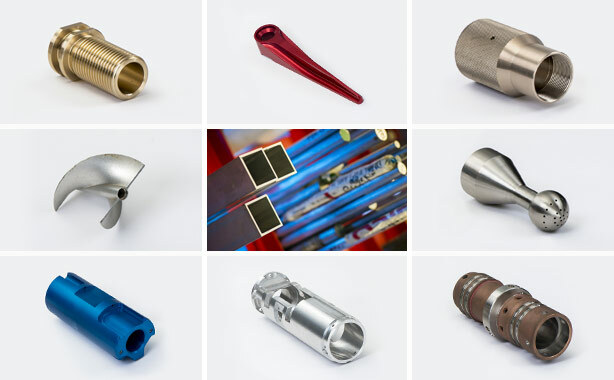 We specialise in and have expert knowledge in the Oil and Gas downhole market using NACE spec materials. We hold a variety of materials in stock and have excellent relationships with our approved suppliers for fast and cost effective solutions especially when purchasing small quantities. Our machines are tooled for these high strength materials and our skilled operators have the knowledge and ability to machine effectively. We strive to achieve efficiency in these areas enabling us to pass on the saving to our customers. All raw materials are purchased from Duncan-Lynch approved suppliers and on delivery are coded and stored on designated racking awaiting use. Through our control by production control system these materials are fully traceable. Test certs are available on request.